Omigoodness “Rudy” Ruettiger! What on earth have you gotten yourself into!? This is quite the predicament. I can only assume that he was excited to see the gumball machine that Santa brought for Deklan last year. 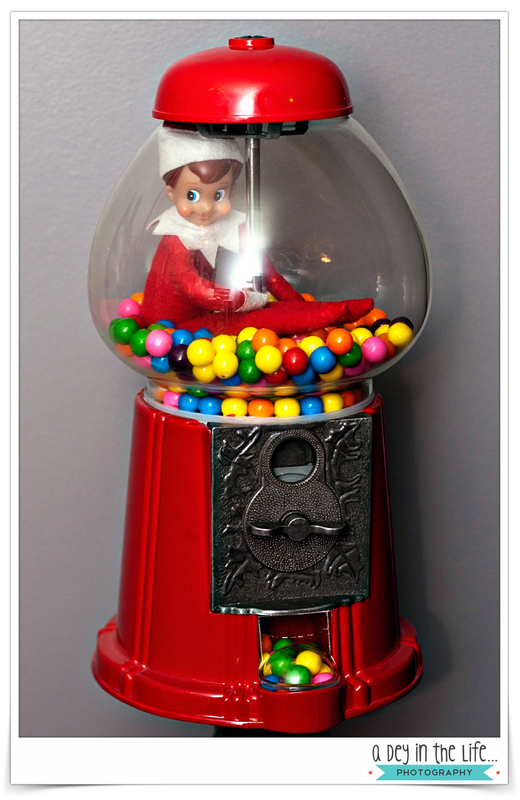 I wonder what the chances are that one of his little elf friends helped make it?